Great report. Thanks so much for taking the time to put this information together. I for one and I am sure there are many, many more of us that look forward to your detailed reports. Your a Great American Ralph. Thank you very much for all the detailed information as well as all the reports about the wolves we received in the past. I eagerly await the news and it helps us when we come to see wolves in Yellowstone. We even attended a wolf class. I am concerned about them being shot. Hopfully, we will see some wolves when we return to Yellowstone in a couple of weeks. Last July, we missed the big excitement about the Unknowns while we were there, but think we met you. The person we talked to was very helpful and informative. Thanks for the update on all of the packs. I had written you in June prior to our trip to the park to find out where the Druids had been seen. Unfortunately, we did not see the Druids, but were lucky to spend every morning at Antelope Creek watching the Agates. We saw all of the pups and watched as the adults returned to the pack and were greeted by the pups – what an awesome sight. We also were able to drive down to Alum Creek after the kill and watched the wolves feed on the carcass for about an hour before the rain started. We truly had one of our best wolf watching experiences this summer and can’t wait until next summer when we return to the park at the beginning of July. Thanks for your info, I will check back often over the winter and into the spring to keep track of the wolves. Thanks again for the info you provided earlier in the year, and maybe next year I’ll be able to see my beloved Druids. I have been trying to find updated information on the wolves of Yellowstone ever since the Institute course I took in May, with a trip to the Rose Creek Pens, created an enormous interest on my part for the welfare of the wolves. It’s almost scary how they have touched an emotional string in my psyche. Thank you for your wonderful, informative blog. I look forward to keeping up with all the news you find fit to print. The photo’s are awesome as was your well written update. Thank you Nathan for providing me with this link. Anja, I’m glad you found my blog. You might have found the rest too. 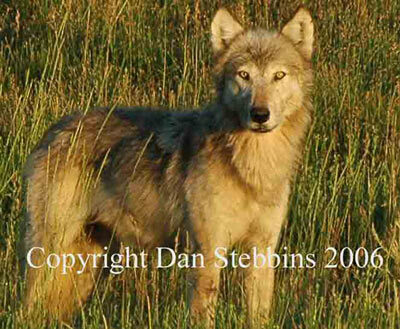 However, in case you haven’t, I wrote updates on the Yellowstone wolves, and other wolves, for ten years before going to the blog format. Just returned from a week in the park. Saw 5 packs. Druids,Agates,Hellroaring, Sloughs and Leopolds. need someone to give me an update on pack color composition Please.